In case of acute attack, just be on a diet of fluids, juices, food with no oil, lots of water-rich vegetables such as bottle gourd, ridge gourd, cucumber, lots of fruits like apple and grapes, and thin vegetable soups. Vegetables which are particularly beneficial are carrots, beetroot and cucumber. Have mix juice of all these vegetables in equal quantity. Include some spices in your diet like turmeric, ginger, garlic, black pepper, long pepper, asafetida, cumin seeds, etc. Maintain optimum hydration level by consuming 3 liters of water per day. Other foods which benefit are Alfa-Alfa sprouts, B-complex vitamins, vitamin E capsules, liquorices. Mix half glass of pear juice with half glass of boiled water. Add 2 tsp of honey. Stir well. Drink this 3 – 4 times a day for successively two days. 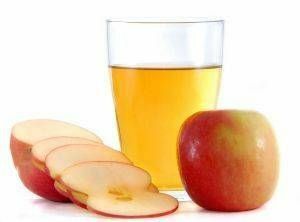 Have 1 glass of fresh apple juice with 1 tsp of apple cider vinegar when there is any acute pain. Use Epsom salt instead of sea salt in your diet. Consume Vitamin C rich fruits such as Indian gooseberry (Amla) and citrus fruits. Use oils such as flax oil, sunflower oil or olive oil. Since most gall bladder stones are composed of cholesterol it is important to restrict cholesterol sources like dairy product (milk, curd, cheese, paneer, butter, ice cream, ghee and chocolates), eggs, red meat, poultry products like chicken, etc. Avoid or reduce foods like tea, coffee, thick gravies, processed foods and foods with preservatives. Avoid fat loaded and fried food. Avoid spicy, salty or sour foods. Avoid sugar or any other artificial sweeteners. Go for morning walk for at least 30 min a day. Do Yoga exercises like Sarvangasana, Paschimottanasana, Dhanurasana, Mayurasana, Shalabhasana, Bhujangasana, Vajrasana, Padmasana, Pawanmuktasana daily. If you are overweight, lose weight slowly and sensibly. Avoid overeating. Mix 3 tablespoons of olive oil with lemon or grapefruit juice and drink before breakfast and before bedtime. Combine equal amounts of tinctures of wild yam, fringe tree bark, artichoke leaves, milk thistle, and balmony, and take a teaspoonful of the blend several times a day. Drinking chamomile or lemon balm tea is also helpful. Take 20 ml of olive Oil + 5 gm of Garlic paste + 20 ml of fresh lemon / Beet root juice once a day on empty stomach. Have a glass of hot water with 1 tsp of Epsom salt in morning on empty stomach. After drinking this, lie down for about 45 minutes on your right side. Do this once or twice a week. Apply castor oil pack over the gallbladder area. Take a cup of castor oil, and soak a flannel cloth in it. Place the saturated cloth over the gallbladder area, and cover with plastic. Over the plastic, apply a heating pad, and leave it on for half an hour. Initially, do this once a day, every day for a month. Then decrease the frequency up to thrice a week only. The quantity of this pack can be increased in case of acute pain.